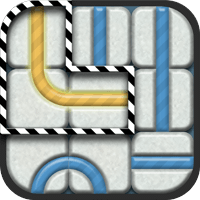 Lineable is a new type of puzzle game that rewards speed and strategy. Trace out connected lines on 3 or more tiles to make a match. The bigger the match the bigger the score! Strategic matching will result in longer lines being created. Special tiles give you extra time, increase your score multiplier and earn you coins to buy special powers with.